Each Fleet customer has specific demands for their vehicles. As proven experts in the Canadian automotive industry, we’ll listen to you and help you meet the demands of your business. We’ll help you choose between new and pre-owned vehicles. We’ll also help you figure out the best payment strategy – whether it’s leasing, financing, or purchasing outright with no repayment contract. Providing you with all the details, and an expert recommendation, means you get exactly what you need for your business. 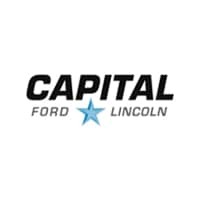 Currently, the Capital Automotive Group specializes in new vehicle brands like Ford, Lincoln, and other major brands. We have five primary dealerships (two in Regina, and one each in Edmonton, Calgary, and Winnipeg). With these locations being some of the largest in the country, you have immediate access to a wide range of inventory. Include our extensive network of dealer partners, and the number grows. The bottom line for Fleet customers is that they always get the vehicles they need. Although our access to new vehicle inventory is unmatched in Canada, we also facilitate direct factory orders. If you need models with precise specifications, we’ll help you order them directly from the manufacturer. Once ordered, we’ll schedule delivery dates to accommodate your demanding schedule. You’ll have access to the largest pre-owned inventory in the country. Our vehicles are on the ground and ready for delivery. Given the size of our operation, our supplier network, and our purchasing power, we can source any vehicle that you need. From subcompact cars to 7500 series heavy duty trucks, we have the vehicle solutions you need. All of our pre-owned vehicles are fully inspected, reconditioned, serviced, and backed with a warranty. In order to make a decision about your fleet, you need to know where you stand. We will perform a complete initial assessment, appraisal, and report based on each individual vehicle in your fleet. After that, we’ll annually provide the current market value of each asset. Every dollar saved in your annual Fleet expenditure is a direct addition to your bottom line. We will work with you directly on each and every purchase to maximize the financial efficiency of each asset. We work with all primary financial institutions and also have our own in-house finance and lease solutions through Capital Finance. We are able to offer unique and creative solutions that are tailored to your specific needs, and not available through traditional lending. These options include flexibility on lease residuals, inclusion of upfit modifications, unique payment terms etc. Every vehicle we sell has a minimum warranty package and an expiration date or km restriction. Although we are confident in our products, the average vehicle currently costs around $300 per hour in the repair shop. We offer a number of options for extending the warranty coverage of any vehicle, which can prove a great investment for business owners. You can maintain a consistent budget per VIN and eliminate unexpected repair expenses. Every vehicle requires a certain amount of maintenance in order to operate at its peak efficiency and to maximize its usable life expectancy while reducing repair expenses. Engine oil changes are obvious, but things like differential and transfer case services and transmission oil changes are often ignored by owners. If these critical services are not performed regularly, they can lead to expensive, yet preventable repairs. Fortunately, we offer all-inclusive solutions that can be structured into the initial purchase or payment arrangements that cover all such maintenance items. These plans ensure a consistent maintenance regimen is followed while eliminating additional unexpected expenses to your fleet. Although tires are covered under warranty for any failures due to factory defect, the reality is that those types of issues are very rare. Tire replacement due to punctures, impact, etc, are not covered. But these issues are very common with Fleet vehicles, due to the nature of the places they frequent. Our available tire protection plans are priced lower than the average cost of one tire and cover all tire repairs and replacement due to impact or puncture failures for the entire plan terms. We will work with you to proactively anticipate when any of these assets will reach the end of productive life in your fleet. We have several options for vehicle disposal, including promoting them in our online inventory, opening them to online auction, promoting in our network of other fleet companies, etc. We don’t just want to sell you vehicles. We want to work with you to achieve the most efficient utilization of your fleet expenses – from start to finish. We are confident that our expertise in all areas of this industry will save you bottom line dollars.